SteemitPhotoChallenge Entry #48 - Ocean - ''Ocean Playground"
These photos are my entry for the Steemit Photo Challenge #48 - Ocean, run by @jamtaylor. I only just noticed the competition today and didn't get a chance to take some fresh shots, hence all three images were taken the past. This shot was taken on a family holiday in Malta in April 2017. 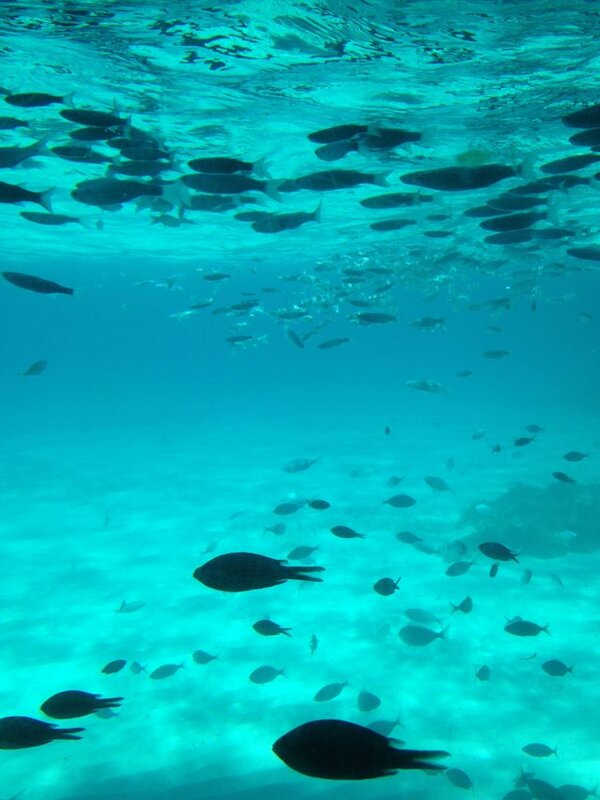 The image was taken off Comino island through a port hole on the boat we were on. The Mediterranean has the most beautiful colored water. The photo was taken with an iphone 5c. 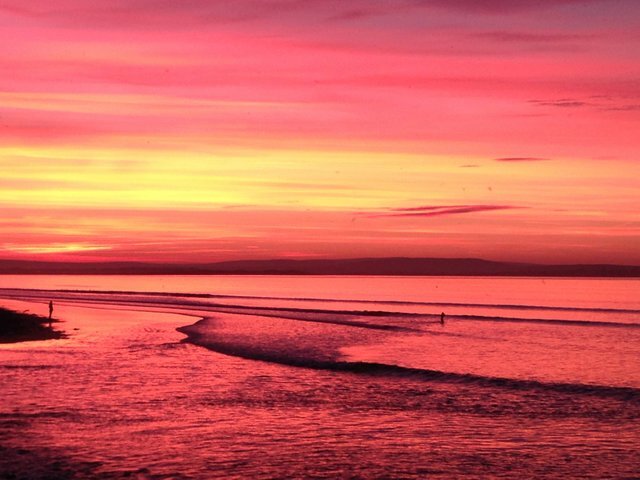 This image was taken a couple of years ago at Enniscrone beach in County Sligo, Ireland. That's my partner standing on the shore watching our son play in the waves. I had been in the water with him, but had to get out to take some pictures of the spectacular light show. This is a really special memory for me. 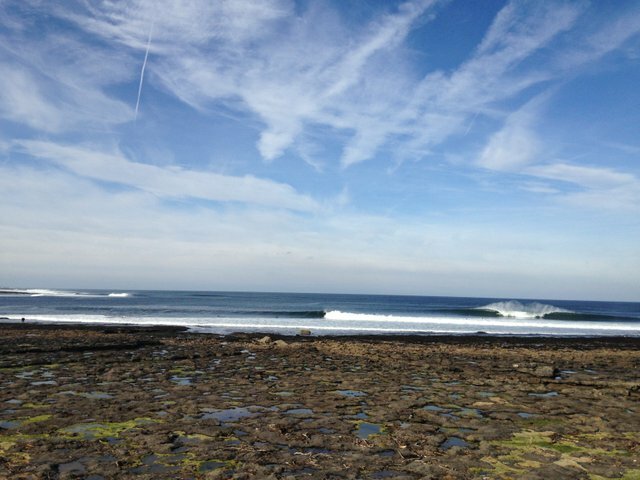 It's not often we get good waves and good weather in Ireland, but when we do it's a dream surfing location. I love this wave. I've spent countless hours in the water here, learning all of the breaks subtle intricacies. There's a surfer on the second wave about to get a really good barrel. He made it, and I could hear him hoot as he came flying out. There's something therapeutic about being in the Ocean, it can take away the cares of the world and give a sense of peace and happiness. Wow! That underwater shot is majestic! The fish on top are all of us minnows banding together! Thank you. I think that you have more talent for writing than I do for photography! I loved your last blog post, I think that the mind is a truly formidable instrument that can break barriers when applied in the right way. I queried the experience of your church elders (rather than your astonishing recovery!) as my blog was supposed to be about energy healing, but I find it easier to take pictures than writing blog posts!!! If you have the time (and you don't think it's a load of bull! ), take a look - give the exercise a wee try and let me know what you think! This post received a 3.8% upvote from @randowhale thanks to @dpol! For more information, click here!